Café Rio is a restaurant chain located in Salt Lake City which offers a Mexican cuisine inspired by the traditional gastronomy of Rio Grande. Their catering service is offered from large or small number of guests for work parties or wedding receptions and others. Their customers enjoy their services because they offer award-winning fresh made meals of Mexican cuisines in a variety of choices and combinations. 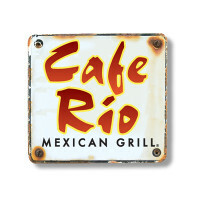 Café Rio started in 1997 by Steve and Tricia Stanley.In 2004, the chain was purchased by Spencer K Hill, and Bob and Kathleen Nilsen, along with SKM/Apax Partners, and in 2011, the company had added several chains. As of 2016, they have 100 locations with branches in Arizona, California, Colorado, Idaho, Maryland, Montana, Nevada, Utah, Virginia, Washington, and Wyoming. Café Rio Catering offers the traditional cooking of Rio Grande to their customers.They added the convenience of providing their customers with an array of choices to choose from. All the customers need to do is contact their hotline or avail of the live chat to place their orders and make the necessary arrangements. The guests would surely love the packages, which include enchilada party pack, Santa Fe nacho bar, taco fiesta pack, Yolanda’s tamales, southwest chicken wraps, with add-ons of individual sides, beverages,chips and dips and desserts. The popular packages that Café Rio offers include the Enchilada party pack. It is a combination of 1 and ½ enchiladas per person with a choice of either chicken, beef or pork, chips, black or pinto beans, cilantro lime rice, creamy tomatillo dressing, salads, and necessary utensils among others. add on a serving of their orders. Their tamales package however is available only on Thursdays. Café Rio catering offers their packages either in pick-up or delivery options. The minimum order required is for 20 people and they recommend an 8-hour advance notice for an efficient service. The customers will just have to contact the restaurant nearest to them to place their orders and make the necessary arrangements. For more than 50 people as guests, the customers can call their hotline at 1-800-caferio or avail of their live chat online. Café Rio catering offers their Enchilada party pack and Yolanda’s Tamales with a choice of pork, chicken or beef. The customer has a choice to make it at 2 servings at a minimum added price per person. Their taco fiesta and Santa Fe Nacho Bar comes in grilled options and their Southwest chicken wraps comes with specialty drinks at an added price. The price range of their packages starts from $10.49 per person. The price could go up to about $11.49 per person for an added serving or grilled services options. The specialty drink option starts at about $14.95 per gallon. The customers could choose from either pick up or delivery services which they can have at the nearest location, their hotline or via online through the web services of Café Rio. Café Rio catering offers a value for your money experience in their inclusive packaged pricing compared to other catering services offering Mexican cuisines.Competitors start at about $9 per person for meat alone excluding other choices which could go up to about $17 per person.